A Soyuz space capsule with Russian, US and British astronauts landed on Saturday in Central Asia’s Kazakhstan, the Russian mission control center said. KOROLYOV (Sputnik) – The Soyuz TMA-19M capsule undocked from the International Space Station and reentered the atmosphere earlier today. ​The capsule carried Russian cosmonaut Yuri Malenchenko, NASA astronaut Timothy Kopra and European Space Agency’s Timothy Peake back to the Earth. ​According to Tim Peake, the space journey was "incredible." 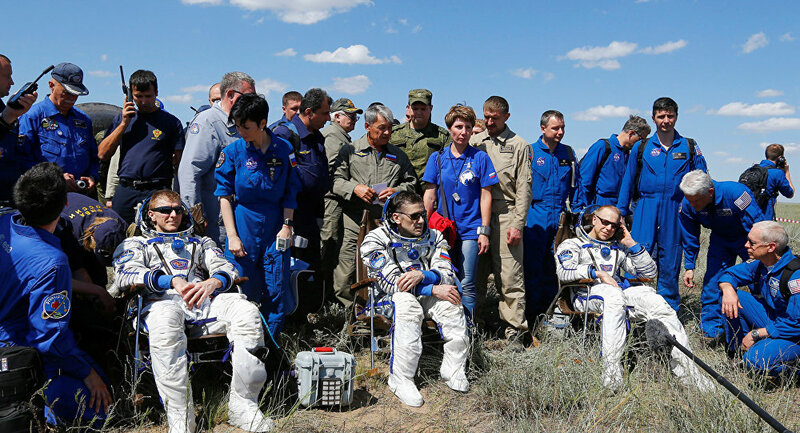 ​The astronauts landed in south-central Kazakhstan after spending 186 days on the International Space Station.